The real story from Valencia? What was the biggest story from the European Grand Prix in Valencia just passed? Fernando Alonso's victory was as unexpected as it was brilliant, and only a curmudgeon will have been left unmoved by his emotional home win, all of which leaves him a clear 20 points clear in the drivers' table. Are Sebastian Vettel and Red Bull set to dominate? But in the midst of all this was the real story of the weekend, at least in the longer term, missed? Before his alternator failed him at mid distance Sebastian Vettel had routed the field. With Red Bull having turned up with a technical upgrade so extensive that one team member quipped that it was not so much a B-Spec as a D-Spec, no one could live with Seb. From pole position (acquired comfortably) at the start of the race his lap-on-lap lead went like this: 1.9 seconds, 4.0, 5.3, 6.8, 7.6, 8.5, 9.2. And by lap 22 he had upwards of 20 seconds in his pocket over the next guy, more than enough to make an additional pitstop and still be leading, before first the safety car and then, definitively, a dud alternator destroyed his advantage. It was an astonishing show of supremacy, the like of which we've almost never seen in F1 2012-style, but that we saw repeatedly last season. 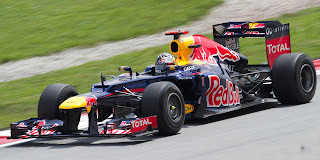 So, has Red Bull put a massive stride on the opposition which will be decisive for where honours go this year? Well, I wouldn't put it past them; Adrian Newey and his team are perfectly capable of such a eureka moment. And, something that's under-commented on, Red Bull's record of in-season development is an excellent one. Try to remember one of its upgrades that didn't work and it's genuinely difficult to cite many (or any) examples. Of course, on the flip side it's been such an unpredictable season so far with such a multitude of variables that it may be foolish to base too much on one race; Vettel qualified only seventh in the Spanish round which followed his win in Bahrain earlier this year, and while Nico Rosberg trounced all in China he's barely been seen at the front since. And at least some of Seb's Valencia dominance owed to his closest potential rivals on pace being tucked up behind slower cars. Silverstone next up, which is a very different circuit to Valencia, should give us a clearer sense of how the land really lies. But without wishing to play the bad fairy at the christening, do you ever suspect that the close and unpreditable 2012 we've been enjoying may be about to come to an end? Pastor Maldonado in his short F1 career has rarely been average; rather like the little girl from the nursery rhyme he seems to vary exclusively between the sublime and the egregious. He's certainly quick, having spent much of his year-and-a-bit in F1 putting his team mates to shame on lap times. Hell, he even won a race this year, and did so like he was born to do it. But this has been rather sprinkled with too frequent accidents, a few of which have beggared belief (his 'rage crash' with Lewis Hamilton in Spa qualifying last year being the worst example). 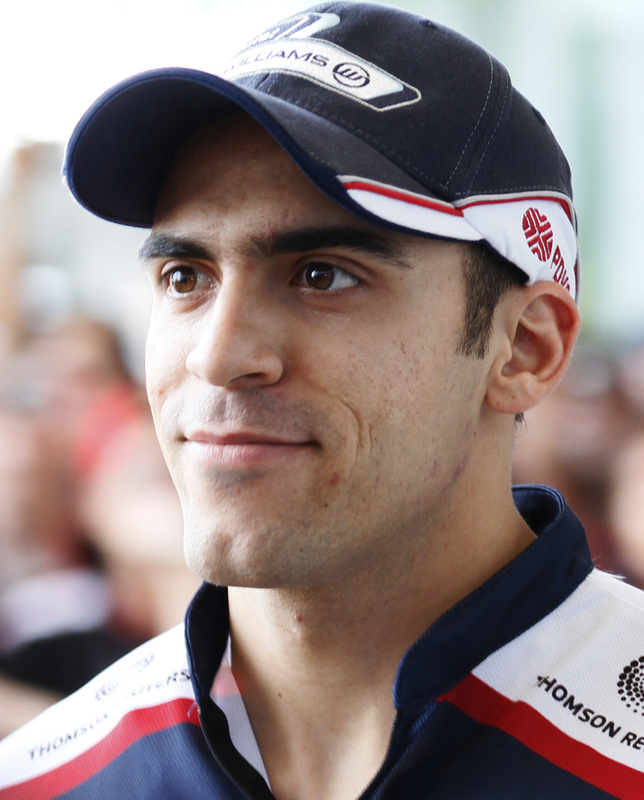 Pastor Maldonado - deserving of the criticism? Maldonado got together with Hamilton again in Valencia in the late laps after a clumsy attempt to take third place from him. And subsequently we discovered that the Venezuelan didn't have much of a reservoir of goodwill to draw on. If one takes a look around fans' forums you'll find many branding Maldonado as dangerous and worse, as well as calling for retribution such as race bans (see here, for example). This is surely excessive though. While most of the blame for the clash was his, the move on Hamilton while clumsy was also genuine (some accused him of crashing deliberately or in a rage which I could see no evidence of) and in mitigation he was up against an opponent who was uncompromising in defence (though within his rights). Thus in my view a race ban would have been a gross overreaction. Further, it seemed that the determination to criticise Maldonado was much more acute than it was for Jean-Eric Vergne for example, who caused an accident in Valencia with a much more crude and potentially lethal piece of driving. I've always suspected more generally that Maldonado is on something of a hiding to nothing with many observers, and while he does provide the snipers regularly with ammunition the criticism he receives I feel is disproportionate. A lot of this is likely related to his 'pay driver' branding, that his arrival in F1 doubtlessly owed much to the cash he brought and that it resulted in the promising Nico Hulkenberg being ditched. But pay driver doesn't necessarily equal untalented, Pastor has surely done enough in his F1 career to show that he's at least worthy of his place, and the likes of Niki Lauda, Michael Schumacher and Fernando Alonso bought their debut rides in motor sport's premier category. And Pastor's case is hardly unheard of in F1: a young, hungry driver who has talent and speed but is rather wild. Such a description could have been applied to many drivers in their early days and who went on to have fine careers: the likes of Jody Scheckter and Riccardo Patrese (see here for his peculiar case) spring to mind. Even Hamilton and Vettel have had their spells of barely being able to not collide with opponents. 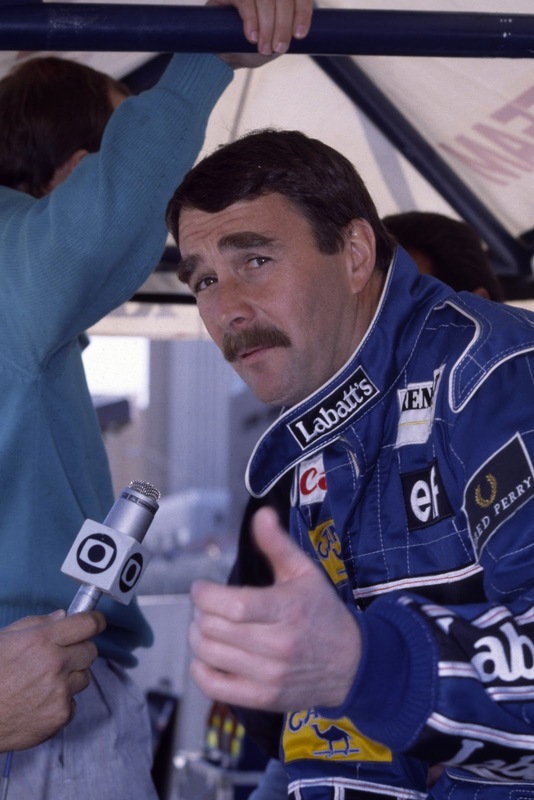 And let's not disregard that in Valencia Maldonado had driven brilliantly to be up there challenging for third place to begin with, and on a day when his stable mate was barely in the same postcode (not for the first time). Pastor has plenty of time to learn from his mistakes and to knock off the rough edges. And when he does I suspect he'll be a very fine F1 driver. This F1 year hasn't been short on records. A curious one came to an end in Valencia, namely that Alonso's victory was the first home win for any F1 driver since Felipe Massa won the Brazilian Grand Prix all the way back in November 2008. It was a trend that baffled me. Of course, it may have simply been dumb luck, and given that there are only 20(ish) F1 races a year with such a small base size odd outcomes and trends are possible. But then again it was brought into sharp focus last season when in Sebastian Vettel's year of dominance about the only round where his standards seemed to slip was at home in Germany. Ayrton Senna took years to win his home Grand Prix, as did Niki Lauda, while Graham Hill famously never managed it. Does it all therefore suggest that, to some extent, the increased pressure to perform compounded by the additional commitments in terms of media and sponsor appearances and the like throughout the weekend when on your home patch all adds up and have an impact on driving? F1 races are decided in the margins and tiny percentage points can make a tangible difference. And you'd imagine that many front-running drivers, such as Mark Webber and Vettel, are the sort of personalities who'd feel some obligation to make such appearances when requested. In this game the only universal rule is that there's no such thing as a universal rule. Nevertheless, Alonso's rare home win allowed us the pleasing sight of the attendant crowd's euphoria as a native driver takes the spoils. This was especially so as Alonso, in order to ensure he had enough fuel left for the mandatory sample check, abandoned his car out on track and allowed himself a constrained show of gaiety in front of his adoring public. While all this was going on, F1's usual way of doing things encroached on the fun: the TV feed cut between this and the figure of Herbie Blash pacing around in parc ferme like an officious school master who'd noticed the disruptive kid is late getting back to class after break. TV schedules wait for no man, clearly. It's one of my pet hates exactly how restrained the victory lap of F1 races is these days. The practice, enshrined in the rules as far as we can tell, is that all must proceed straight to parc ferme in short order (without passing go or collecting £200). It's so ingrained that when in the slowing down lap of last year's Brazilian Grand Prix Felipe Massa decided to entertain the paying public by performing as few donuts, the reaction of most hard-bitten F1 fans was to have a sharp intake of breath and wonder what sanction awaited him from the FIA. But compare all of this to a MotoGP slowing down lap, and the celebrations practiced routinely by the likes of Valentino Rossi and Jorge Lorenzo (I've included examples of each). Compare it also to Indycars; in F1 there is no equivalent of Helio Castroneves's fence-climbing trademark victory celebration. Is it not all fantastic television, as well as equally appreciated by those oft-forgotten fans who pay to attend? Wouldn't it be fantastic to see something at least more in that direction in F1? Imagine this scenario. You have two people. One is Italian and the other speaks Italian fluently. Both work for an Italian organisation, based in Italy. What language should they use when in conversation? Italian? Seems to make sense. Well in F1 such a conclusion is nevertheless sufficient to get a few grumbling. Fernando Alonso and his engineer Andrea Stella chose to talk over the team radio in Italian at various points of the Valencia weekend (as they've been known to do on occasion in the past), as heard on the world TV feed. And this ignited a round of murmuring that surely such a practice is (or should be) agianst the rules, and that the FIA should throw the book at them. There is however no rule, nor even an informal understanding, that radio transmissions have to be in English. And I'm glad there isn't, not only do I like the 'throwback' element of Ferrari being an Italian-speaking environment such a rule would strike as being rather totalitarian. And where would you draw the line? Pastor Maldonado and his race engineer Xevi Pujolar routinely converse in Spanish, and every team in the pit lane uses a variety of code words in an attempt to conceal from competitors what they're up to. If transparency is the concern, then this is a more pertinent issue than talking in a language other than English. That, of course, can always be translated. Or, call me cynical, perhaps it all represents the determination some have to be offended, particularly where the Scuderia is involved. Very interesting post, which opens the doors of reasoning. Really to think about. It's well known most of F1 drivers speak 3/4 languages fluently. Is much more a mix of some of them which conforms the "F1 dialect". So why not use only English when you don't mind/do want/ do prefer be known.